The web is awash with gossip and rumour about the imminent arrival of a Google-branded phone. The search firm is widely expected to unveil the Nexus One phone at a press conference scheduled for 5 January at its California HQ. It is believed Google will sell the gadget directly to customers and that it will also be available, subsidised, from mobile operators. Google has remained tight-lipped about what will be unveiled at the event. 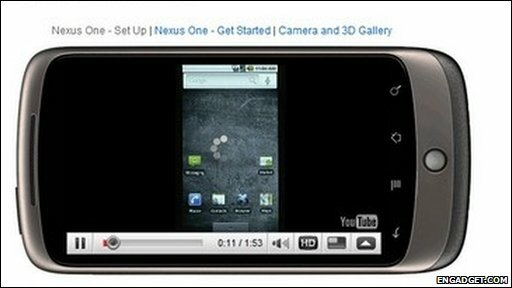 Photos of the Nexus One have appeared online at gadget sites such as Gizmodo, Engadget and many others. The first look at the slim phone reveals that it is built by HTC, has a 9.3cm (3.7in) screen, five megapixel camera and runs version 2.1 of Google's Android operating system. Early reviews were underwhelming, with Engadget declaring that it was "really not very different" from existing Android phones such as Motorola's Droid. Engadget said the phone shifted quickly between different applications but lacked what might be thought of as standard features for comparable smartphones such as a multi-touch screen. Gizmodo said leaked documents showed that the phone will cost more than $500 (£308) unlocked, ie not tethered to a network, or $180 (£111) with a two-year contract from T-Mobile. No information has yet been revealed about when, and if, the phone will be available outside the US. 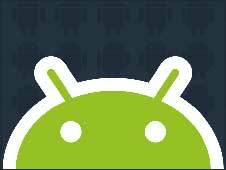 Google's Android software is turning up on more and more gadgets. Google has kept secret the exact details of what will be unveiled on 5 January. Media organisations are limited to sending one correspondent to the press conference. A spokesman for the company would only say the announcement was "significant". "All eyes are on the Nexus One," said analyst Rob Enderle of Silicon Valley-based Enderle Group. "It looks like Google is moving to see if they can do the Apple thing," he added. The Nexus One is widely believed to have been tested out inside Google when the search giant issued the device to many of its employees. "For Google to go into the business of selling phones just doesn't make a whole lot of sense," said Van Baker, an analyst with market research firm Gartner. Before now Google has been content for established phone makers, such as SonyEricsson, to make the phones that run its Android operating system. Chatter about the Nexus One sets the stage for the Consumer Electronics Show that takes place in Las Vegas from 7-10 January. The giant gadget shindig will see more than 110,000 people stroll through halls in which they will find more than 20,000 new products. This year the show is likely to see the unveiling of many netbooks, e-book readers and tablet computers. The conference officially opens on 6 January with an evening keynote from Steve Ballmer, Microsoft chief executive.